We’ve had a love affair with Art Deco for a long time and it has to be one of our favorite wedding styles! The solid lines, shapes, and angles along with a typical black, white, or gold color scheme have come to define Art Deco style. It is one of those styles you recognize immediately when you see it. Don’t confuse Art Deco with a Great Gatsby style, which is more about the pure glitz and glam of the roaring 1920s and all that F. Scott Fitzgerald imagined in his fictional literary classic by the same name. 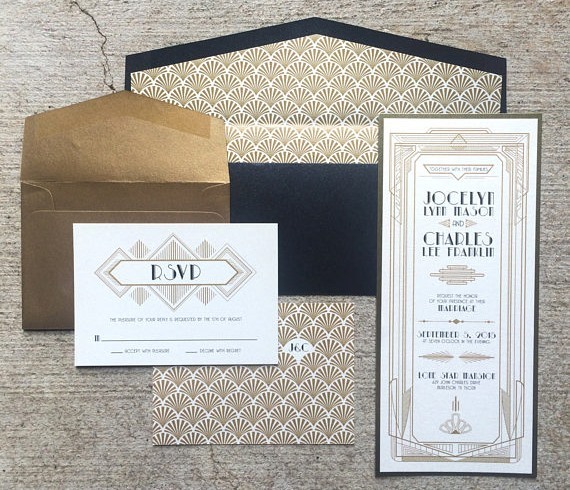 With that in mind, let’s take a look at our top 5 luxury invites that will set the tone for your Art Deco themed wedding day! We’re featuring a talented artist from Vancouver in our top two spots, first for her take on framed Art Deco elegance. Kelly’s simple yet elegant design integrates classic Deco lines with an amazing choice of typography and layout. 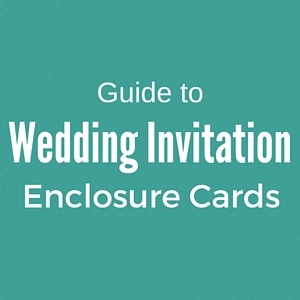 The foil pressed invite shimmers and shines exuding an air of anticipated luxury for your wedding event. Kelly continues her Deco designs with this fan border motif. We love the crisp look of gold and white, but black and gold works equally well. It all depends on your main wedding colors and whether you go with a lighter or darker palette. There’s something fun and quirky about Eric’s antique lines design that I just love. Don’t get me wrong, it is ALL luxury with gold foil-pressed on heavy cardstock. However, the lines and circular format designs really lend a fun element! The color options are diverse and I think the traditional gold on black tends to look the best. A second designer from Australia made our list with this brilliant Shimmer design. We love the larger bold typography framed by the circular dot pattern border and gold lines. The popular curated seller of handmade goods Etsy has a lot of different Art Deco design options to choose from at many pricepoints. Some are DIY downloadable files only, while other vendors offer a complete printing package. We encourage you to browse their selection and see if one catches your eye! 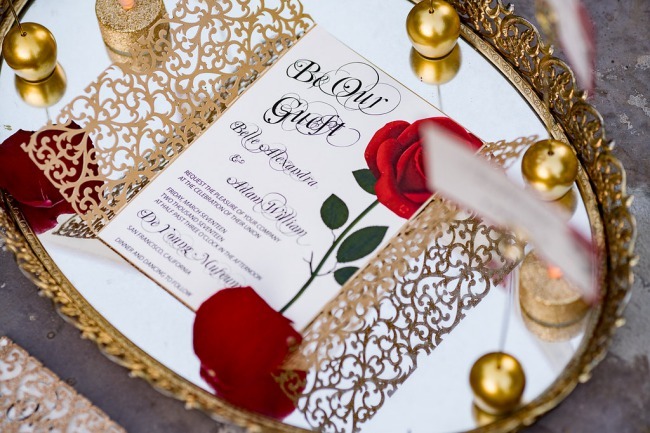 Here’s a complete stationery suite from a 5-star rated seller that we think adds a super luxury appeal to your wedding day tone. Texas based designer Kristin certainly has a knack for creating intricate Deco design. We absolutely love the complete suite design including the repeating fan pattern on the envelope, the ultra tall invite format, and the font choices. This is a luxury statement stationery piece. We’ve got three wonderful examples of Art Deco in real weddings. A glitzy real wedding from New York, followed by a styled wedding held at a historic building in Chicago, capped off by a glamorous wedding (love the Art Deco cake!) at La Caille in Utah.